ABSTRACT: Aim: To standardize Amritaprasha ghrita. Materials and methods: Physico‐chemical studies like refractive index, specific gravity, acid value, saponification value, iodine value, determination of unsaponifiable matter, peroxide, viscosity, rancidity test and HPTLC were carried out as per the WHO guidelines, Indian Pharmacopoeia and Ayurvedic Pharmacopoeia. Conclusion: Standardization tests done on Amritaprasha ghrita helped in authenticating and ensuring the quality of the same. INTRODUCTION: Standardization is necessary to make sure the availability of a consistent product and can assure a reliable product with definite constituents 1 - 2. The standardization of herbal medicines is always challenging as it medicines contain more than one active principles and the active compound is frequently unknown 3 - 4. Standardization of herbal formulations is essential to assess quality, consistency of active principles and therapeutic efficacy of drugs 5 - 6. The quality assessment of herbal formulations is important to justify their acceptability and safety7 - 8. Jivanti (Leptadenia reticulata (Retz.) Wight & Arn),10 Shunti (Zingiber officinale Roscoe), 12 Shati (Hedychium spicatum Sm. in A.Rees),13 Shalaparni (Desmodium gangeticum (L.) DC. ), 14 Prishniparni (Uraria picta (Jacq.) DC. ), 15 Mudgaparni (Phaseolus trilobus Ait. ), 16 Mashaparni (Teramnus labialis (L. f.) Spreng. ), 16 Meda (Asparagus racemosus Willd. ), 10 Mahameda (Asparagus racemosus Willd. ), 10 Kakoli (Withania somnifera (L.) Dunal), 17 Ksheerakakoli (Withania somnifera (L.) Dunal), 18 - 19 Bruhati (Solanum indicum. ), 16 Kantakari (Solanum xanthocarpum Schrad. & H. Wendl. ), 14 Sweta Punarnava (Boerhavia diffusa L.), 10 Rakta Punarnava (T. portulacastrum L.), 20 Madhuka (Glycyrrhiza glabra L.), 21 - 24 Kapikachu (Mucuna pruriens (L.) DC. ), 25 Shatavari (Asparagus racemosus Willd. ), 10 Riddhi (D. bulbifera L.), 10 Vriddhi (Dioscorea bulbifera L.), 10 Parushaka (Grewia asiatica L.), 26 Bharangi (Clerodendrum serratum. (L)), 27 Mrudvika (Vitis vinifera L.), 28 Shringhataka (Trapa bispinosa Roxb. ), 29 Tamalaki (Phyllanthus niruri L.), 10 Vidarikanda (Pueraria tuberosa (Willd.) DC), 30 Pippali (Piper longum L.), 31 Bala (Sida cordifolia L.), 10 Badara (Ziziphus jujube Mill. ), 32 Akshotaka (Juglans regia L.), 33 Kharjura (Phoenix dactylifera L.), 34 Vatama (Prunus amygdalus Batsch), 35 Abhishuka (Pistacia vera L.), 36 Dhatri (Phyllanthus emblica L), 37 Ikshu (Saccharum officinarum L.), 38 Chaaga Mamsarasa (meat soup of goat fried with ghee), 39 Go ksheera, 40 Go ghrita, 41 Madhu (honey), 42 Sarkara (sugar), Maricha (Piper nigrum L.), 43 Twak (Cinnamomum zeylanicum Blume), 10 Ela (Elettaria cardamomum (L.) Maton), 44 Patra (Cinnamomum zeylanicum Blume), 45 Nagakesara (Mesua ferrea L.) 46. Amritaprasha Ghrita is made use in the management of Karshya (Grade 1 & 2 under nutrition) in children. Literature survey did not reveal any standards for Amritaprasha ghrita and hence the current study was undertaken to standardize the same. The ingredients of Amritaprasha ghrita is detailed in Table 1. MATERIALS AND METHODS: Physico‐ chemical studies like refractive index, specific gravity, acid value, saponification value, iodine value, determination of unsaponifiable matter, peroxide, viscosity, rancidity test and HPTLC were carried out as per the WHO guidelines, Ayurvedic Pharmacopoeia and Indian Pharmacopoeia. Plant Material: The constituents of Amritaprasha Ghrita were collected from the local market of Hassan District, Karnataka State, India in the month of March 2017. The collected drug was identified and authenticated (no: SDMCAH-DG/2017/16) at the teaching pharmacy of Department of Dravyaguna (Ayurveda Pharmacology), SDM College of Ayurveda and Hospital, Hassan, Karnataka State, India. Refractive Index: Placed a drop of water on the prism and adjusted the drive knob in such a way that the boundry line intersects the separatrix exactly at the centre. Noted the reading. Distilled water has a refractive index of 1.33217 at 28˚C. The difference between the reading and 1.3325 gives the error of the instrument. If the reading is less than 1.3320, the error is minus (-) then the correction is plus (+) if the reading is more, the error is plus (+) and the correction is minus (-). Refractive index of oil is determined using 1 drop of the sample. The correction if any should be applied to the measured reading to get the accurate refractive index. Refractive index of the test samples were measured at 28˚C. Specific Gravity: Cleaned a specific gravity bottle by shaking with acetone and then with ether. Dried the bottle and noted the weight. Cooled the sample solution to room temperature. Carefully filled the specific gravity bottle with the test liquid, inserted the stopper and removed the surplus liquid. Noted the weight. Repeated the procedure using distilled water in place of sample solution. Acid Value: Weighed 2-10 g of ghritha in a conical flask. Added 50 ml of acid free alcohol-ether mixture (25 +25ml) previously neutralised with the 0.1M potassium hydroxide solution and shaken well. Added One ml of Phenolphthalein solution and titrated against 0.1M Potassium hydroxide solution. End point is the appearance of pale pink colour. Repeated the experiment twice to get concordant values. Saponification Value: Weighed 2 g of the Amritaprasha ghritha into a 250 ml RB flask fitted with a reflux condenser. Added 25ml of 0.5M alcoholic potash. Refluxed on a water bath for 30 minutes. Cooled and added 1 ml of phenolphthalein solution and titrated immediately with 0.5 M Hydrochloric acid (a ml). Repeated the operation omitting the substance being examined (blank) (b ml). Repeated the experiment twice to get concordant values. Iodine Value: The sample was accurately weighed in a dry iodine flask. Dissolved with 10 ml of CCl4, 20 ml of iodine monochloride solution was added. Stopper was inserted, which was previously moistened with solution of potassium iodide and flask was kept in a dark place at a temperature of about 17 ºC for 30 min. 15 ml of potassium iodide and 100 ml of water was added and shaken well. This was titrated with 0.1N Sodium thiosulphate, starch was used as indicator. The number of ml of 0.1N sodium thiosulphate required (a) was noted. The experiment was repeated with the same quantities of reagents in the same manner omitting the substance. The number of ml of 0.1N sodium thiosulphate required (b) was noted. The experiment was repeated twice to get concordant values. Determination of Unsaponifiable Matter: Weighed 5 g of the Amritaprasha ghritha into the flask. added 50 ml alcoholic KOH into the sample. Boiled gently but steadly under reflux condenser for one hour. The condensor was washed with 10ml of ethyl alcohol and the mixture was collected and transferred to a separating funnel. The transfer was completed by washing the sample with ethyl alcohol and cold water. Altogether, 50 ml of water was added to the separating funnel followed by an addition of 50 ml petroleum ether. The stopper was inserted and shaken vigorously for 1 min and allowed it to settle until both the layers were clear. The lower layer containing the soap solution was transferred to another separating funnel and repeated the ether extraction six times more using 50 ml of petroleum ether for each extraction. All the extracts were collected in a separating funnel. The combined extracts were washed in the funnel 3 times with 25 ml of aqueous alcohol and shaked vigorously. And drawing off the alcohol-water layer after each washing. The ether layer was again washed repeatedly with 25 ml of water until the water no longer turns pink on addition of a few drops of Phenolphthalein indicator solution. The ether layer was transferred to a tarred flask containing few pieces of pumice stone and evaporated to dryness on a water bath. Placed the flask in an air oven at 85 °C for about 1 h to remove the last traces of ether. A few ml of acetone was added and evaporated to dryness on a water bath. Cooled in a desicator to remove last traces of moisture and then weighed. Peroxide Value: 5 g of the Amritaprasha ghrita was weighed accurately into a conical flask, added 30 ml of mixture of 3 volumes of glacial acetic acid and 2 volumes of chloroform, added 0.5 ml of potassium iodide, allowed it to stand for 1 minute, add 30 ml of water titrate gradually with vigorous shaking with 0.1M sodium thiosulphate until the yellow color disappears. Add 0.5 ml of starch indicator continued the titration until blue color disappears. Rancidity Test: 1 ml of melted fat was mixed with 1ml of conc. HCl and 1 ml of 1% solution of phloroglucinol in diethyl ether and then mixed thoroughly with the fat acid mixture. A pink color indicates that the fat is slightly oxidized while a red color indicates that the fat is definitely oxidized. Sample Preparation for HPTLC: Sample obtained in the procedure for the determination of unsaponifiable matter is dissolved in 10 ml of chloroform this was followed for all the sample of Amritaprasha ghritha, and chloroform soluble portion was used for HPTLC. 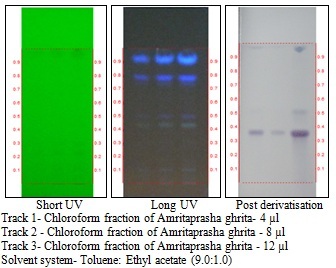 HPTLC: 4, 8 and 12 µl of the above sample of Amritaprasha ghrita was applied on a precoated silica gel F254 on aluminum plates to a band width of 8 mm using Linomat 5 TLC applicator. The plate was developed in toluene - ethyl acetate (9:1) and the developed plates were visualized under short UV, long UV, and after derivatisation in vanillin-sulphuric acid spray reagent it was visualized under white light and scanned under UV 254 nm, 366 nm and 620 nm. Rf, colour of the spots and densitometric scan were recorded. RESULTS AND DISCUSSION: The standardization parameters of Amritaprasha ghrita are detailed in Table 2. The TLC photo documentation of chloroform fraction of Amritaprasha ghrita is shown in Fig. 1. The Rf values of sample of Amritaprasha ghrita is detailed in Table 3. The Densitometric Scan of Amritaprasha ghrita is shown in Fig. 2. The physicochemical standards would serve as preliminary test for the standardization of the formulation. Tests such as refractive index, specific gravity, acid value, saponification value, iodine value, determination of unsaponifiable matter, peroxide, viscosity, rancidity test and HPTLC, results of TLC photo documentation, the unique Rf values, densitometric scan and densitogram obtained at different wavelengths can be used as fingerprint to identify the herbal drug of Amritaprasha ghrita. CONCLUSION: Amritaprasha ghrita has been standardized using diverse scientific quality parameters. The results obtained can be used as reference while setting the pharmacopoeial standards for Amritaprasha ghrita for the benefit of the end user without any unwarranted complications. ACKNOWLEDGEMENT: Authors are highly grateful to the constant support and guidance of Dr. Prasanna N. Rao, Principal, SDM College of Ayurveda, Hassan and Dr. Mallika KJ, Research Dean, SDM College of Ayurveda, Hassan. The Authors thank Dr. B. Ravishankar, Director, SDM Centre for Research in Ayurveda and Allied Sciences for providing the facilities and guidance. Bijauliya RK, Alok S and Kumar M: A comprehensive review on standardization of herbal drugs. Int J Pharm Sci & Res 2017; 8(9): 3663-77. Arun K, Tapas BT, Shivakumar, Sunil Kumar KN, Arun Raj GR. Standardization of Haridradi Vati of Ayurvedic formulary of India (AFI). Int. J. Res. Ayurveda Pharm. 2015; 6(6): 688-691. Gupta PD, Daswani PG and Birdi TJ: Approaches in fostering quality parameters for medicinal botanicals in the Indian context. Indian J Pharmacol 2014; 46: 363-71. Arun-Raj GR, Shailaja U, Rao PN, Ajayan S and Thomas NP: Review on the contribution of Ura-Marunnu, A traditional baby care practice in Southern India. The Pharma Innovation. 2014; 2(11): 42-70. Li S, Han Q, Qiao C, Song J, Cheng CL and Xu H: Chemical markers for the quality control of herbal medicines: an overview. Chinese Medicine 2008; 3: 7. Mallanava V, Shailaja U, Kumar SKN, Kumar A, Bharati S and Arun-Raj GR: Standardization of Karshyahara yoga: An Ayurvedic nutraceutical supplement. Int. J. Res. Ayurveda Pharm. 2016; 7(S1): 94-97. Kokare NV, Wadkar KA and Kondawar MS: Review on standardization of Herbal churna. Int. J. Res. Ayurveda Pharm 2014; 5(3): 397-401. 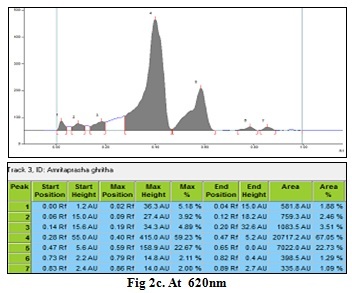 Sreejith GS, Ittoop J Ancheril, Kumar SKN, Anitha MG and Arun-Raj GR: Chemical analysis of Dushivishari agada: An Ayurvedic herbo-mineral formulation to combat residual toxicity. Int. J. Res. Ayurveda Pharm 2016; 7(S1): 80-83. Das SG: Bhaishajya Ratnvali, Rajayakshma chikitsa, 14/265-274. 1st Varanasi: Chaukhambha Orientalia; 2014: 575. Arun-Raj GR, Shailaja U, Rao PN and Debnath P: Nutraceuticals and Functional foods. 1st Houston-Texas, USA: Recent Progress in Medicinal Plants. Studium Press LLC; 2016. Chapter 10, Nutraceuticals and Functional foods in Ayurvedic perspective 42: 172-199. Arun-Raj GR, Shailaja U, Sagar K, Viswaroopan D and Kumar SN: Swarnaprashana to Swarnamritaprashana: experience inspired modification through ages. Int J Pharm Sci Res 2017; 8(11): 4546-50. Raj JKT, Mallannavar V, Raj AGR, Shailaja U, Viswaroopan D and Krishna JG: Exploratory studies on the therapeutic effects of Patoladi syrup in the management of chronic tonsillitis in children at a tertiary care hospital of Southern India. Int. J. Res. Ayurveda Pharm. 2018; 9(2): 62-69. Ghildiyal S, Gautam MK, Joshi VK and Goel RK: Pharmacological evaluation of extracts of Hedychium spicatum (Ham-ex-Smith) rhizome. Ancient Sci Life 2012; 31: 117-22. Raj AGR, Shailaja U, Rao PN, Pujar MP, Srilakshmi and Mohan K: Effectiveness of Ayurveda treatment modalities in the management of spasticity in children with Cerebral Palsy at a tertiary care teaching hospital of Southern India. Int. J. Res. Ayurveda Pharm. 2018; 9(2): 96-100. Arun K, Tapas BT, Shivakumar and Raj AGR: Randomized controlled clinical trial to assess the effectiveness of Haridradi tablet and Navaka guggulu tablet in the management of obesity. Int. J. Res. Ayurveda Pharm. 2016; 7(Suppl 1): 70-75. Raj AGR, Shailaja U, N Rao PN and Ajayan S: Review on the concept of immunomodulation in Ayurveda with special emphasis on Prakara Yoga. Int J Pharm Sci Res 2014; 5(4): 1116-1123. Viswaroopan D, Raj AGR, Shailaja U, Maurya D, Gawade S, Shivanand P and Raj JKT: Preparation of Ashwagandha (Withania Somnifera (L.) Dunal) ghee - A practical approach inspired by traditional knowledge. The Pharma Innovation 2015; 4(4): 85-89. Viswaroopan D, Shailaja U, Raj AGR, Raj JKT and Patil S: Ayurvedic management of underweight in children at a tertiary care teaching hospital of Southern India: A pilot clinical study. Int. J. Res. Ayurveda Pharm. 2016; 7(4): 46-49. Viswaroopan D, Raj AGR and Shailaja U: Standardization of Ashwagandha Ghrita: A Herbal Ghee Based Ayurvedic Medicinal Preparation. Int J Pharm Sci & Res 2016; 7(2): 819-23. Shivhare MK, Singour PK, Chaurasiya PK and Pawar RS: Trianthema portulacastrum (bishkhapra). Phcog Rev 2012; 6: 132 - 40. Shailaja U, Rao PN, Raj AGR and Mallannavar V: Effect of Kumarabharana Rasa on Chronic Tonsillitis in children: A pilot clinical study. Int. J. Res. Ayurveda Pharm. 2013; 4(2): 153-157. Raj AGR, Shailaja U, Debnath P, Banerjee S and Rao PN: Exploratory studies on the therapeutic effects of Kumarabharana Rasa in the management of chronic tonsillitis among children at a tertiary care hospital of Karnataka. J Tradit Complement Med. 2016; 6(1): 29-33. Raj AGR, Shailaja U, Rao PN and Parikshit D: Chronic tonsillitis in children: an ayurvedic bird view. International Ayurvedic Medical Journal 2013; 1(4). Raj AGR, Shailaja U, Rao PN and Mallanavar V: Review on the therapeutic efficacy of an Ayurvedic compound drug in Chronic Tonsillitis in children. 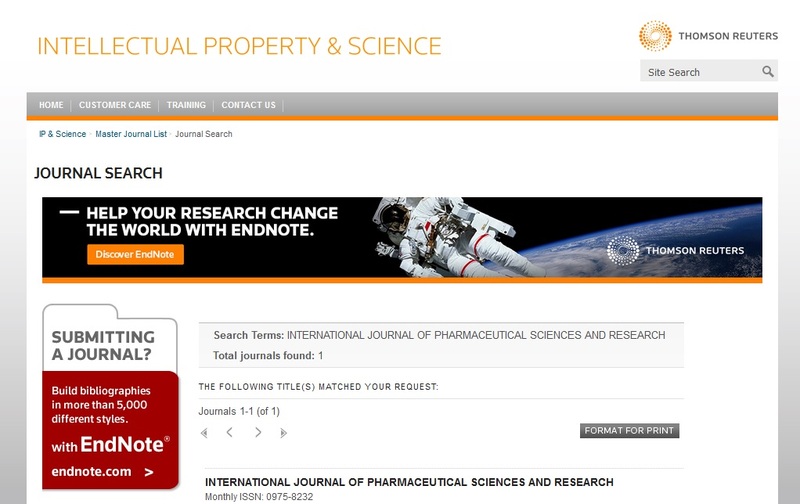 Unique Journal of Pharmaceutical & Biological sciences 2013; 1(2): 2-11. Lampariello LR, Cortelazzo A, Guerranti R, Sticozzi C and Valacchi G: The Magic Velvet Bean of Mucuna pruriens. J Tradit Complement Med. 2012; 2(4): 331-339. Zia-Ul-Haq M and Milan S: Stanković, Komal Rizwan, Vincenzo De Feo. Grewia asiatica, a Food Plant with Multiple Uses. Molecules 2013; 18(3): 2663-2682. Poornima BS, Hegde PL, Pradeep and Harini A: Pharmacological review on Clerodendrum serratum Moon. Journal of Pharmacognosy and Phytochemistry 2015; 3(5): 126-130. Mansour R, Haouas N, Kahla-Nakbi AB, Hammami S, Mighri Z, Mhenni F and Babb H: The Effect of Vitis vinifera Leaves Extract on Leishmania infantum. 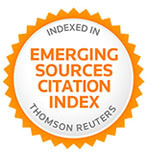 Iranian Journal of Pharmaceutical Research 2013; 12(3): 349-355. Adkar P, Dongare A, Ambavade S and Bhaskar VH: Trapa bispinosa: A Review on Nutritional and Pharmacological Aspects. Advances in Pharmacological Sciences 2014; 1-13. Mallannavar V, Shailaja U, Raj AGR, Viswaroopan D and Bharati AK: Effect of Karshyahara yoga in the management of malnutrition in preschool children. Int. J. Ayurveda Pharm. 2017; 8(2): 40-45. Chen J, Liu X and Li Z: A Review of Dietary Ziziphus jujuba Fruit (Jujube): Developing Health Food Supplements for Brain Protection. Evidence-Based Complementary and Alternative Medicine 2017; 1-10. Raja V, Ahmad SI, Irshad M, Wani WA, Siddiqi WA and Shreaz S: Anticandidal activity of ethanolic root extract of Juglans regia (L.): Effect on growth, cell morphology, and key virulence factors. J Mycol Med. 2017; 27(4): 476-486. Ahmad A, Soni SD, Singh VK and Maurya SK: Phoenix dactylifera (Pind kharjura): A review. Int. J. Res. Ayurveda Pharm. 2013; 4(3):447-451. Sang S, Lapsley K, Jeong WS, Lachance PA, Ho CT and Rosen RT: Antioxidative phenolic compounds isolated from almond skins (Prunus amygdalus Batsch). J Agric Food Chem. 2002; 50(8): 2459-63. Bozorgi M, Memariani Z, Mobli M, Surmaghi MHS, Shams-Ardekani MR and Rahimi R: Five Pistacia species ( vera, P. atlantica, P. terebinthus, P. khinjuk, and P. lentiscus): A Review of Their Traditional Uses, Phytochemistry, and Pharmacology. The Scientific World Journal, 2013; 1-33. Krishna JG, Raj JKT, Raj AGR, Vijayalaxmi M and Shailaja U: Patolashuntyadi yoga in the management of Tundikeri (tonsillitis): A pharmacological appraisal. Aryavaidyan. 2017; 30(2): 38-43. Singh A, Lal UR, Mukhtar HM, Singh PS, Shah G and Dhawan RK: Phytochemical profile of sugarcane and its potential health aspects. Phcog Rev 2015; 9: 45-54. Sandhya B and Vidyanath R: Animal Based Remedies of Chakraduttha. International Journal of Applied Ayurved Research 2017; 3(2): 215-222. Chitrangana CN, Shetty SK, Prakash NB, Raj AGR and Shankar V: Exploratory study on efficacy of Ayurvedic therapy and an Ayurvedic compound preparation in the management of Epilepsy. Int. J. Res. Ayurveda Pharm. 2014; 5(6): 702-707. Deshpande SS, Shailaja U, Raj AGR and Arya TU: Assessment of growth and development in infants with Shashtikshalyadi churna as weaning food: A clinical study. Int. J. Res. Ayurveda Pharm. 2014; 5(4): 439-443. Raj AGR, Shailaja U and Rao PN: The childhood Samskaras (rites of passage) and its scientific appreciation. Ayurpharm Int J Ayur Alli Sci. 2014; 2(12): 372-383. Sagar K, Shailaja U, Raj AGR, Mohan K and Narendran G: Effect of swarnamritaprashana on growth and development in Indian toddlers. Int. J. Res. Ayurveda Pharm 2018; 9(1): 30-35. Ancheril IJ, Bharati AK, Raj AGR, Rajalakshmi R, Harshavardhan B and Vijayan D: Concept of cumulative toxicity (Dushi Visha) in Ayurveda. The Pharma Innovation 2015; 4(7): 16-19. Carmo ES, Lima EDO, Souza ELD and Sousa FBD: Effect of Cinnamomum zeylanicum blume essential oil on the growth and morphogenesis of some potentially pathogenic Aspergillus Braz J Microbiol. 2008; 39(1): 91-97. Khan ML, Bhuyan P, Shankar U and Todaria NP: Seed germination and seedling fitness in Mesua ferrea in relation to fruit size and seed number per fruit. Acta Oecologica 1999; 20(6): 599-606. Sivaraj S, Mallannavar V, Raj GRA and Shailaja U: Standardization of Amritaprasha ghrita: a herbal ghee based medicinal preparation. Int J Pharm Sci & Res 2018; 9(11): 4842-48. doi: 10.13040/IJPSR.0975-8232.9(11).4842-48.